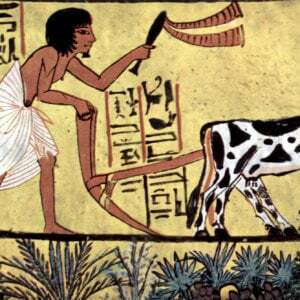 This is the second in of a two-part series exploring the use of genetic engineering in Africa. The first part (which you can read here)—which you can access here—discussed its potential applications while this piece, the second in the series, discusses how countries across the African continent are approaching growing. The expansion of agriculture is of increasing importance in Africa because many nation’s economies have grown overly dependent on the export of a few commodities such as oil, copper, iron ore, diamonds and gold to fuel economic growth. As a result, the recent steep decline in commodity prices has prompted a sharp slowdown in economic activity throughout the continent. In October 2015, for instance, the IMF estimated the pace of economic growth in sub-Saharan African moderated to 3.8 percent in 2015 from 5.0 percent in 2014 largely because of the precipitous descent in commodity prices. The outlook for 2016 is even more cautious given the continued weakness in commodity prices. Despite the potential benefits that GE technology can provide to the agricultural sector, African nations have been reluctant to adopt it. At present only four nations grow GE crops; Burkina Faso, Egypt, South Africa and Sudan. South Africa is the largest producer of GE crops in Africa. The first genetically modified (GM) crops were grown in 1998 and in 1999, Parliament approved the Genetically Modified Organism Act which regulates the production of GM crops. As of 2015, South Africa was the eighth largest producer of GM crops in the world. The bulk of white corn, yellow corn and soybeans grown are genetically modified as is virtually all of the cotton crop. There was early reluctance of African nations to embrace GE technology. 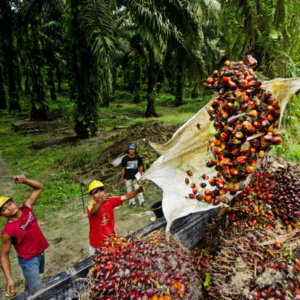 However this hesitance appears to be eroding as several nations have either adopted or are in the process of adopting legislation regulating the cultivation of GE crops. In April 2015, Nigeria’s former president Goodluck Jonathan signed the Biosafety Act into law. It regulates the handling and the use of GE crops. According to Rose Suniso Maxwell Gidado, the Nigeria Chapter Coordinator of Open Forum on Agricultural Biotechnology in Africa (OFAB), the possible benefits of implementing the law include enhancing food security; environmental protection and conservation through production of stress tolerant planting materials for re-vegetation, re-afforestation, soil binding for erosion control as well as genetically enhanced organisms for bioremediation of oil polluted sites. Following the signing of the bill, Lucy Jumeyi Ogbadu, the Director General of the National Biotechnology Development Agency, said commercialization of Bt-cotton, Bt-corn and herbicide tolerant soybeans were likely. Uganda is close to passing a National Biotechnology and Biosafety Bill which was first tabled in 2013. Regarding the bill, Vice President Ssekandi indicated that Uganda needed technology that “can transform the agricultural sector that has been affected by the impact of climate change and several crop diseases.” The adoption of GM technology is viewed as critically important to bolstering lagging agricultural production at a time of rapid population growth. According to data from the US Census Bureau, Uganda’s population will have almost doubled between 1995 and 2016 from 19.6 million to 38.3 million and is expected to almost double again by 2040 to 75.5 million. 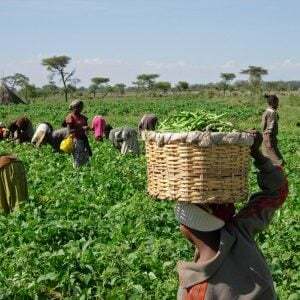 If agricultural production does not keep pace with the rising population, Uganda will become increasingly dependent upon food imports to feed its population at a time when it already is experiencing a large trade deficit. In June 2015, Tanzania changed its laws to make it easier to conduct research on GE crops. Before the change scientists were restricted to conducting contained trials which meant they could only do research on genes and plants in enclosed spaces or in greenhouses. Now they are able to conduct confined field tests on small pieces of land designated for experiments. Tanzanian scientists therefore will be able to expand their trials on drought and insect resistant corn. Although no commercialization of GE crops are presently allowed, it is widely expected that successful trials of the drought and insect resist corn will lead to such a development. We are looking into mixing the already existing cotton seeds with the GMO seeds or just bringing in existing GMO cotton seeds here for trial, ultimately for large scale plantation…There needs to be a laboratory and confined field trial to assess the effectiveness of the seeds. The seeds will be made available for commercial production only after we conclude that the initial trial has been successful…There is no doubt that GMO seeds would increase the productivity of cotton significantly, we can look at Sudan’s experience for example; 90 percent of cotton production is through GMO seeds, and their productivity has increased three folds. The government has indicated that the Ministry of Environment and Forests will establish a National Bio-Safety Agency to monitor GMO developments. We are now on a clear path for the development of biotechnology. 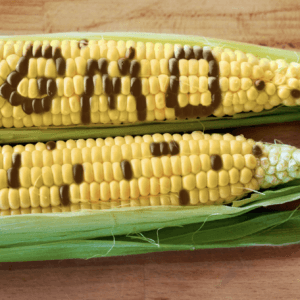 We now have the capacity to look at GMOs…We recognize that modern biotechnology has advanced worldwide and, as a nation, we cannot afford to ignore the benefits of this technology. The Ministry of Higher Education has been charged with regulating GMOs because most scientific research in Zambia is conducted by institutions that fall under the supervision of the Education Ministry. 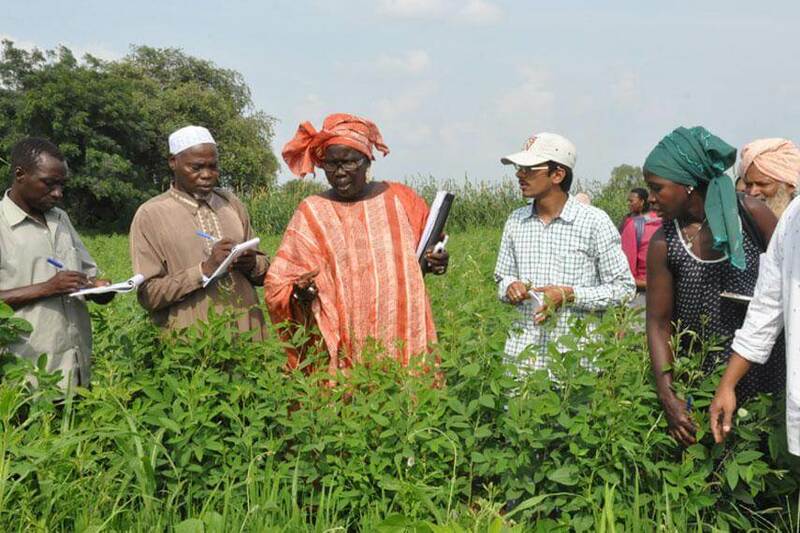 The Cameroon, Egypt, Ghana, Kenya, Malawi, Mozambique, Nigeria, Swaziland and Uganda have all conducted field trials on several GE crops including rice, corn, wheat, sorghum, bananas, cassava and sweet potato. In one such successful field test at the Kachwekano Zonal Agricultural Research and Development Institute of the Uganda National Agriculture Research Organization, which was conducted between October 2015 and January 2016, disease resistant potatoes were successfully grown. Potato blight is a particular problem causing loses of up to 60 percent on some farms, thus forcing farmers to spray fungicides as much as 15 times to protect their crops. Loses resulting from potato blight account for 10 percent to 25 percent of total potato revenue. A severe drought in southern Africa has prompted some African nations to look at the possibility of using GE technology as a means of increasing food security. The drought is particularly severe in South Africa which is experiencing its worst drought on record. Five of the country’s nine provinces have been declared drought disaster zones. As a result of the drought, corn output in the 2015/16 crop season fell to 9.9 million tons from 14.3 million in the previous crop year and this crop year, the harvest is expected to fall to 7.4 million tons. South Africa is usually a net exporter of corn and an important supplier to other countries in southern Africa. In a private-public partnership program, Monsanto has developed drought tolerant corn seeds. The Water Efficient Maize for Africa program is conducting field tests for a GE version in Mozambique, Uganda and Tanzania. The seeds for the drought resistant corn will be given away royalty free to small farmers if the tests prove to be successful and farmers are given the authority to use the seeds. Zimbabwe has also been severely impacted by the drought in southern Africa. Commenting on the severity of the drought, Zimbabwe’s Vice President, Emmerson Mnangagwa, on February 9, said, “the amount of rainfall received to date is inadequate to meet basic household consumption as well as support the livelihoods, agriculture and wildlife.” An estimated 3 million people out of a total population of 14.5 million are expected to require food assistance this year. The government recently launched a $1.5bn appeal to foreign donors for emergency assistance of which $720 million will be used to import 1.4 million tons of grain. Despite the seriousness of the corn shortage, the government has indicated it will not relax its ban on importing GM corn. Agriculture Minister Joseph Made said the “bio-safety laws will not be tinkered with to allow” such imports. He indicated there were places where one can obtain non-GMO corn such as Zambia, South Africa and Ukraine. Zimbabwe however may not be able to depend on corn imports from Zambia and South Africa because of severe drought conditions. In Zambia for example, corn production is expected to fall by about a third in the 2015/2016 crop year. This follows a 21 percent drop to 2.6 million tons in crop year 2014/2015. In October 2015, Jonathan Moyo, Zimbabwe’s Higher and Tertiary Education, Science and Technology Development Minister, indicated the five-year economic blueprint, the Zimbabwe Agenda for Sustainable Socio-economic Transformation, “needs to integrate biosafety and biotechnology mechanism to improve the quality of life for the people and spur the desired economic growth levels.” In December of 2015, he also noted that the National Biotechnology Authority of Zimbabwe was involved in the production of virus-free and insect resistance seedlings for potatoes, sweet potatoes and cassava. It appears that many African countries increasingly understand they have more to gain by embracing GE crops then by listening to those who are spreading unwarranted fears. The science with regard to GE food is sound and therefore it can be an important tool in expanding African agriculture, lifting the living standards of many small farmers, helping to feed the estimated 265 million people who are undernourished and growing food for a population that is expected to double to about 2.4 billion by 2050.